Diving into your makeup bag is usually always chaos with every product and all those brushes. Today we’re going to decode what each one is used for! You might find that other way to use each and every brush, which is great! There is no solid “you need to use this for that” rules, and that’s what makes the art of makeup beautiful! This is simply a guide to help you decipher how to utilize every brush you own. Let’s start off with Face Brushes. 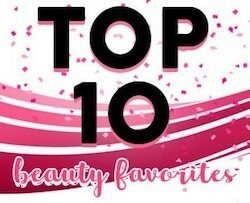 Depending on what type of foundation you use (powder or cream/liquid) would factor on what brush to use. 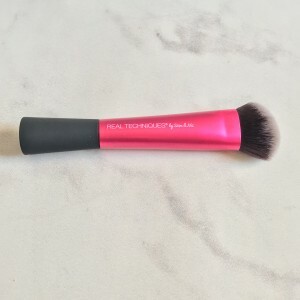 If you’re using a mineral foundation, you’re best bet is to grab a Kabuki Brush. Kabuki brushes are densely packed bristles, usually rounded, that give you precise application of your powder. 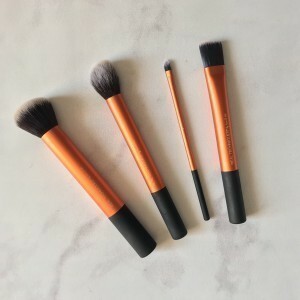 You can also use kabuki brushes for bronzer and highlight. 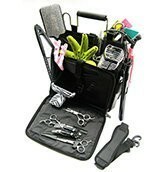 Real Techniques has a retractable kabuki that’s perfect for home and on the run. For liquids and creams you have a couple options. Foundation brushes, typically are flat and come to a point on the end to get into every nook of your face (check out the Royal & Langnickel MODA Pointed Foundation Brush). Stippling Brushes, usually come with varying length bristles that help “buff” foundation into skin. Using a BB cream or tinted moisturizer works best with stippling brushes because they tend to give you very sheer coverage. That means when you use a full coverage foundation with this type of brush you tend to get a “streaky” finished look. Real Techniques Stippling Brush is a great one to try out, and they even stand on their own due the the base of the brush. Next up is almost always concealer. Concealer brushes are like smaller versions of flat foundation brushes. With their scaled down size it helps to really get into the under eye area without applying too much cover up. Try out the Real Techniques Detailer Brush from the Flawless Base Set if you haven’t already! Blending every liquid/cream is key to a flawless application. Blending Sponges (self-explanatory, right?) blend out any lines and demarcations caused from the foundation that’s been applied. 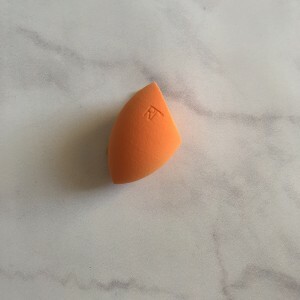 You can even just use this sponge to apply your foundation and skip the brush altogether. You get a nice, airbrushed look after using a blending sponge. I am OBSESSED with the Real Techniques Miracle Complexion Sponge. There’s a flat side, good for cream contouring and a rounded that ends in a point to get up close under your eye. If you’re a liquid/cream foundation girl, you usually go in with a setting powder to lock in the base of your face. Powder brushes work great for this. The rounded top lightly dusts powder onto skin, giving you a perfect finish. Since powder brushes are rounded they also work great to apply blush to the apples of your cheeks without going overboard with the product. The Crown Pro Series Lush Powder Brush is super ideal for these applications. Nothing says “Full Beat” (complete makeover if you didn’t know) than chiseled contour and glistening cheekbones. Contouring is so mainstream now that there’s brushes made just for it now. 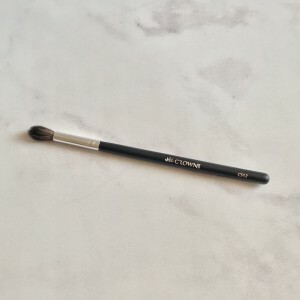 Real Techniques Sculpting Brush is a great example, angled bristles help you apply just the right amount of Matte (alllllways matte) bronzer under your cheekbones to give you that sculpted look. 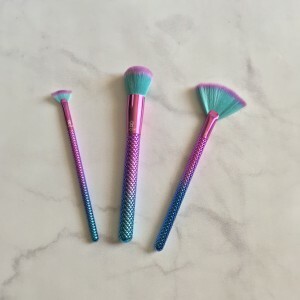 To get that dewy highlight that we are seeing EVERYWHERE, fan brushes are a go-to, they vary in density so depending on how much glow you want is how dense of a brush you would get. For a light glow check out the Royal & Langnickel Prismatic Radiance Kit. 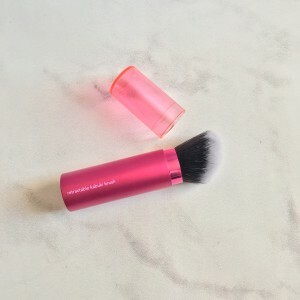 The kit comes with a powder brush (one less brush to buy!) 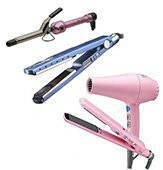 and two fan brushes. 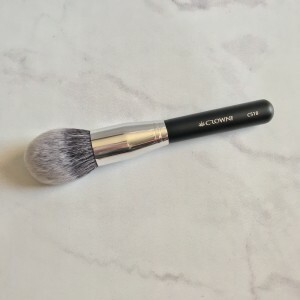 The bigger fan brush is great for cheekbones where the smaller one is excellent from smaller areas, like tip of the nose and cupid’s bow. Eyebrows are the frame of the face. Without eyebrows looks can appear “off” and if you have little to no hair, you can be expressionless. Royal & Langnickel EZ-Glam Beautiful Brows set has literally the most perfect brush for brows. The bristles on this brush are sturdy enough so when you’re applying your brow product it won’t bend and make your brows look sloppy. 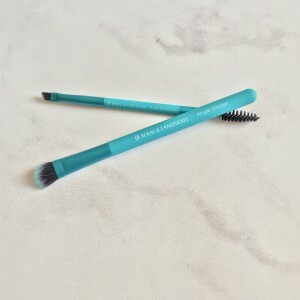 Bonus, the brow brush comes with a spooly end so if you do have nice brow you can easily tame them into shape with this brush. Eyes are the best part of makeup in my opinion, there’s endless ways for self-expression with shade range and different finishes you can always project what you want. Applying shadows with your fingers, while this it totally ok, isn’t always as precise as the brushes. 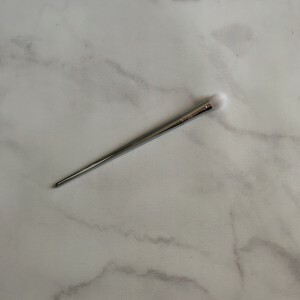 Let’s start with the OG eye brush, the dome brush. Dome brushes are great for a wash of all over color, or packing on some glitter. Real Techniques Bold Metals #200 is an awesome dome brush that you should always have on hand. Want some drama and definition? 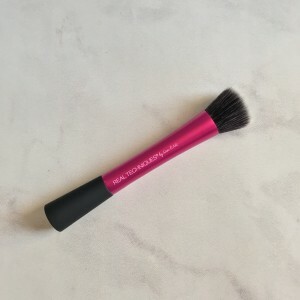 Grab a crease brush! 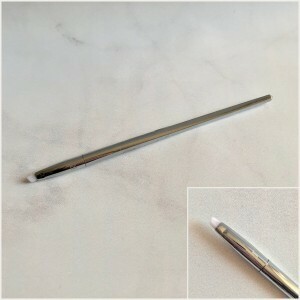 Crease brushes taper to a point to help define the crease in your eye, creating a cat eye effect. TIP: less is more! Eyeshadows are buildable so you can always add more pigment. If you go in with a ton of color you get racoon eyes! Crown Pro Series Sculpting Crease Brush is another go-to for me when I’m looking for some drama. Finish off that dramatic eye with some wing liner! Liner is the icing on the cake for most makeup looks. An angle liner brush is ideal for wings. 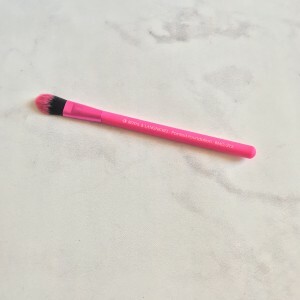 Real Techniques' Bold Metals Angled Liner brush is great because the brush itself is thin so you won’t need to worry about making the wings too thick, unless thick is what you’re looking for that is totally doable with this brush too. TIP: use tape to create a sharp wing if you’re not good at freehanding the tails! I *still* use tape to this day so I don’t need to worry about making them perfect. 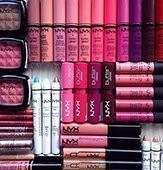 Top it all off with Lip Color! Whether it’s lipstick or a gloss I love using a lip BRUSH! Lip Brushes give you a better application and last longer than just applying straight from the tube. Royal & Langnickel Lip Brush is my fave! Just like i said last week, same rings true for makeup brushes! They are an investment so treat them with care! You should be cleaning your brushes WEEKLY! Yes i said weekly. If you avoid cleaning your brushes it’s a breeding area for bacteria and that causes skin problems! Cinema Secrets Brush Cleaner is literally THE best cleaner out there! Grab some with your next order! Your brushes and skin will thank you! 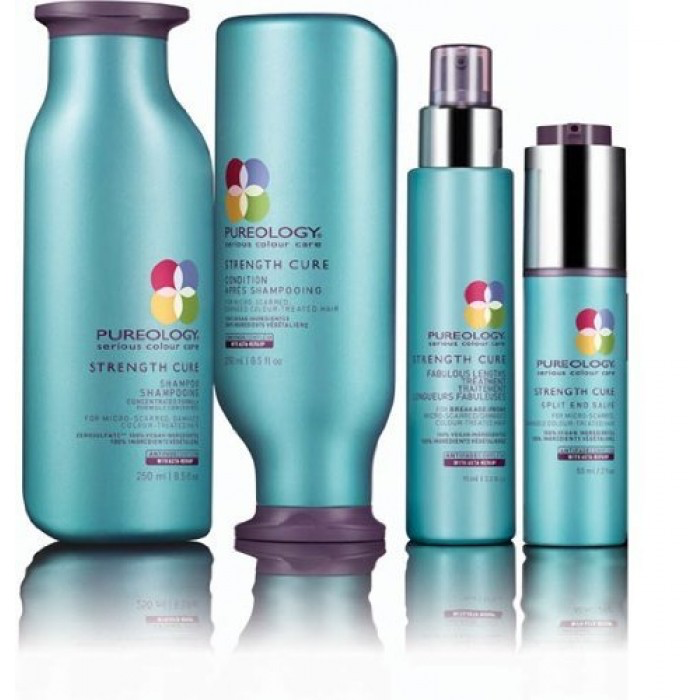 Primers: The Most Important Step You May Be Neglecting! You're Not Cleaning Your Makeup Brushes? Me Neither. But We Should Be! 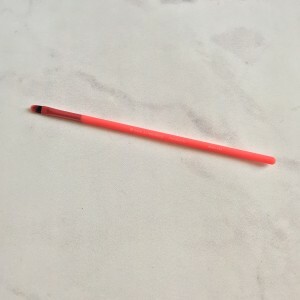 Why the Wonder Pencil needs to be in your purse, like NOW!